Due to its status as one of the cradles of civilization, Rome attracts visitors in their millions. 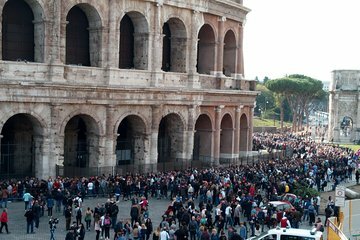 Opt for a personalized experience of the Eternal City on a private tour of the Colosseum and Roman Forum. Skip-the-line admission tickets save you up to four hours of waiting in line, while a private historian guide allows you to ask questions whenever you feel like it. Get personalized attention in English, Spanish, or Portuguese on this private, three-hour tour, with no-wait entry.